Phone battery is the energy storage tool for the mobile phone. It consists of three parts: the electric core, the protective circuit and the shell. The phone battery is usually used for lithium battery and nickel hydrogen battery. "mAh "is the unit of battery capacity. Follow the phone parts supplier, we will talk about some problems often encountered when using cell phone batteries. 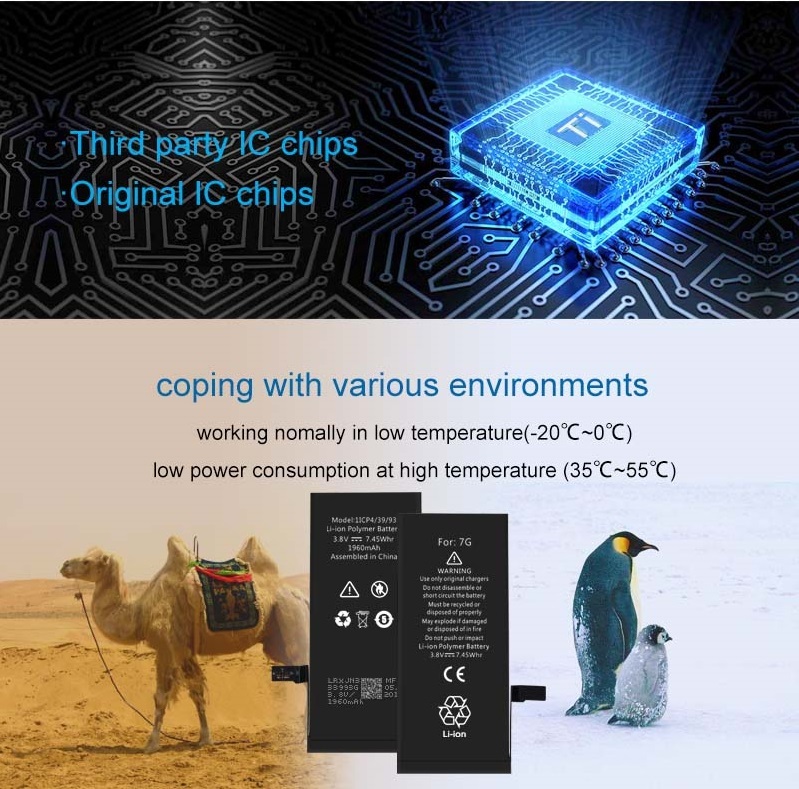 The effect of memory is that the effect of using the battery to produce the crystal of the content of the battery is usually produced only in nickel cadmium batteries, the nickel hydrogen battery is less, and the lithium battery has no such phenomenon. The reason is due to repeated partial charging and incomplete discharge of batteries. The temporary capacity of the battery will be reduced, resulting in shorter call time. In the condition of normal use and no serious impact, the mobile phone manufacturer should set a service life of 5 years, and in wet and rainy areas, it may have an impact on the number of years of the mobile phone. The service life of phone battery is related to the quality of the battery and the number of charging times. Generally it can charge at least 500 times. The charging problem exists inside the mobile phone itself, which requires the mobile phone to be selected and maintained at the national guarantee point. Before sending it, you have to make sure that the real problem is mobile phone. Use the same type of good phone battery and charger to replace it. If you use your own charger to load your cell phone with your own charger, it still doesn't work. Then try it with someone else's charger. It still doesn't work. That's the problem inside your own mobile phone, which is to be checked yourself. Fix it! If you use the replacement method mentioned above, replace your charger with someone else's charger, that is, your own charger is broken. If you have a warranty, you can repair it quickly. If you don't send him to your brand phone, the service point will be paid by the manufacturer for you to repair it. Because manufacturers are more clear about their products, they will be assured of maintenance. Do not send them to street stalls to repair them. If you replace it with another good battery, you can charge it properly. That's your battery problem. If you have a problem with your phone battery, do you take out your cell phone battery to see if there is a hair boom? Does the metal contact position be rusty? If the drum is drums, it indicates that the battery core has been damaged or damaged; or that the cell cycle life of the cell phone has arrived; or the battery's protective circuit board has failed.